Alexandra Elizabeth Mackenzie. Stop ignoring us. Speak the words. Make this right so we can be… Bright. That was.....that was a decent outline of the dialogue for a future book. Unfortunately, I don't feel like it was then fleshed out into an actual novel (or even a novella). It is literally like 80% dialogue, with no world or character building. The reader is dropped into the middle, characters appear and aren't introduced or explained, the plot make no sense and the narration is cheesy. I mean, the villainous evil is called the "inky black fog." And while I sense this was meant to be humorous, it wasn't. Then the climax arrived abruptly and the book ended on a cliffhanger. I will not be continuing the series. 5.0 out of 5 starsAn attention grabber. When Lexie pictured a quiet birthday, she got more then she bargained for. Tune in Catherine and Mirabelle Mackenzie, via Witchy Bluetooth. Throw in a trickster binding after 10 years and voila, time to solve the mystery of House St. James. Welcome to your training! In a fast paced page turner, there's no time to spare as the tomes are stacked against the St. James family and an heir is in danger. For me this story took a bit for me to get into and get lost. 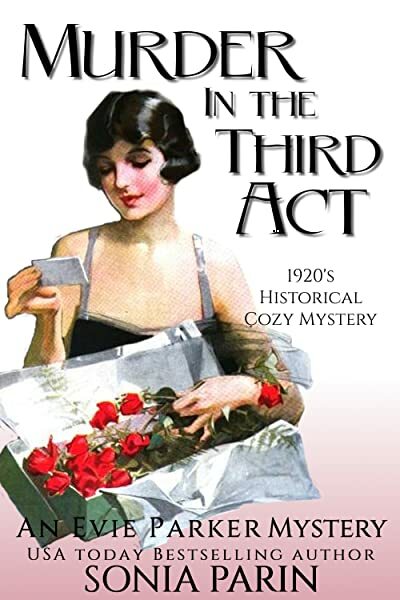 I was hoping for more of a cozy mystery. That said this is a good story about Lexie (Alexandra Elizabeth Mackenzie, a young woman who is going to find he life changed with a visit from Mirabell and Catherine..Lexie is going to find a bit of magic a bit of mystery and an assignment that is strictly coven business. The author did a good job with a clean novel and a quick read. Oh dear! Lexie gets conned into accepting her heritage and then gets thrown into the deep end of affairs! Happiness have an opposite! And where is her cat? She is supposed to have one .....she thinks! 5.0 out of 5 starsGreat beginning for a series! Alexandra was able to bargain to keep her life normal, until she is seventeen. Then she must become a member of the Mackenzie coven. 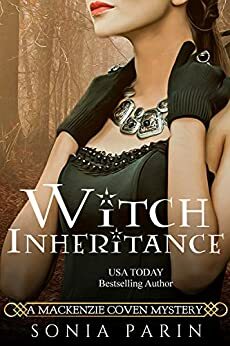 Her first assignment is to deal with whatever is causing problems with a family protected by the coven. Well written, great plot and characters. Plenty of action with a few twists. Lived it! Quick, fun, magical mystery featuring another Mackenzie witch. This witch gave up her powers for ten years in order to have a normal life. At the end of that time, she must accept her birthright. Interesting mystery. However, there were times when my credulity was stretched. An excellent book keeps the reader so enthralled, they believe everything is possible. I also thought she was a bit of a whiner. Who would turn down the chance to be a powerful witch? Oh yeah, the responsibility.